Purchase tickets below or via our Facebook Page. A map is posted on the bottom of this page. Where can I go for help, advice and support? 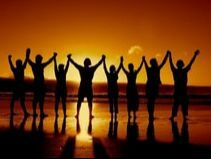 When and where does the Near Death Experience UK Support Group meet? What if there is no NDE UK Support Group near me? We stongly respect the right to anonimity and you are very welcome to use an alias at any of the meetings to protect your identity. Please let us know where you would like to attend a meeting using the survey form and clicking on the "Nominate Your City" submission button. It is so vital that you register your interest! When we get enough people in one area to hold a meeting we will contact all those who have expressed an interest and make it happen! If you would like to hold a meeting or start a support group in your area, please contact Founder - Gigi Strehler for more information on how to become an NDE UK Ambassador and how we can help you start meetings in your area. Click to nominate your city!